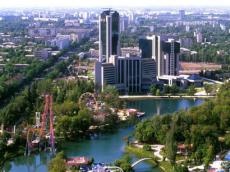 The Italian company Waste to Energy is planning to build the largest waste recycling plant in Tashkent, the Tashkent city administration stated. According to the information, the metropolitan administration held a meeting with representatives of Waste to Energy, which offers a project for construction of a waste recycling plant capable of processing 1,200 tons of solid domestic waste per day into electric and thermal energy. The Tashkent administration also noted that the plant will be able to operate safely next to settlements and schools due to advanced technologies that will be used in production. Production of recycled bags, disposable dishes and even furniture is possible in the future. An agreement on further development of long-term cooperation has been achieved following the meeting. Currently there are 186 polygons of waste disposal in Uzbekistan, where 33.4 million tons of garbage are stored. According to expert forecasts, annually accumulated volume of solid domestic waste in Uzbekistan will reach approximately 7 million tons by 2030. The number of garbage polygons will double if appropriate measures aren’t taken.